Just saw a screening of Cartoon College at the Trylon in Minneapolis. Holy crap – great documentary. Following the stories of a group of students attending the school and weaving in commentary by well-known professionals and instructors at the school (themselves professionals), the film really gets to the heart of what it means to pursue comic art in this day and age. Out of high school, and during those formative art school years at the Kubert School, I grew up on documentaries like The Masters of Comic Book Art and Comic Book Confidential. Those films are now important time capsules relating the comic scene and creaters of the late 20th century. Here is a documentary for today’s comic artist – no matter what the age. 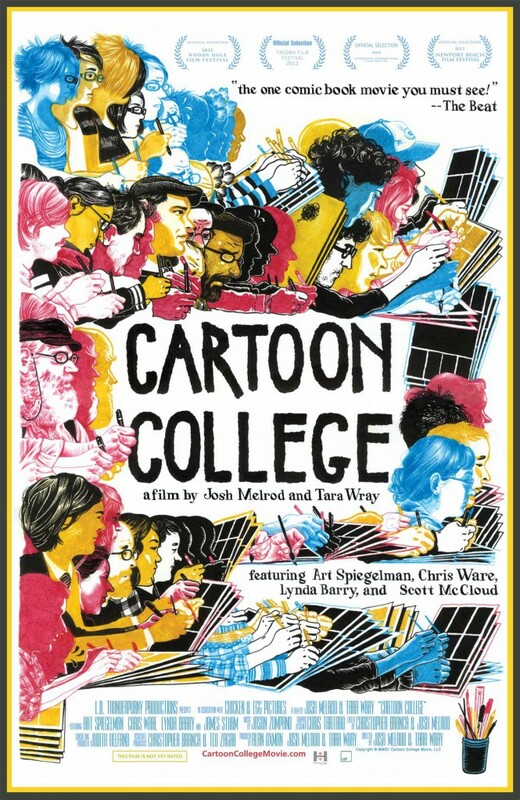 Check out the Cartoon College website for a screening near you. There’s also a Facebook page with updated screening times and places as well. This entry was posted in Steve Bissette. Bookmark the permalink.